A few of my blogger friends and I have got together to see what crafty ideas we can come up with using an old 2 litre soda bottle. 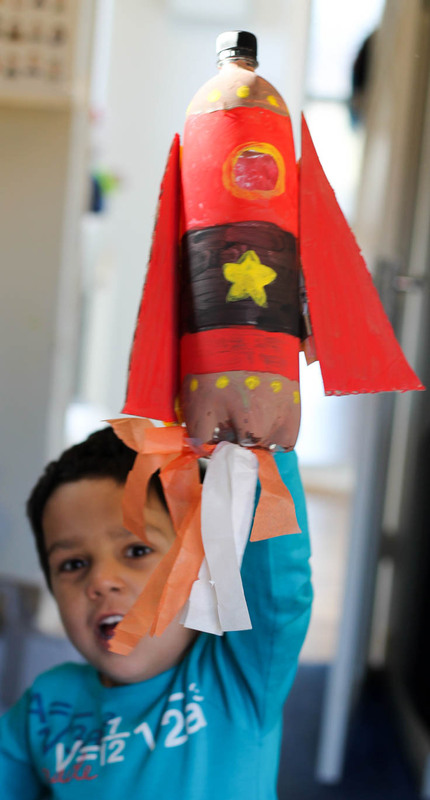 My kids are always excited to take something out of the recycling bin and use it for junk modelling or to make a craft, so we actually ended up making a couple of different ideas. 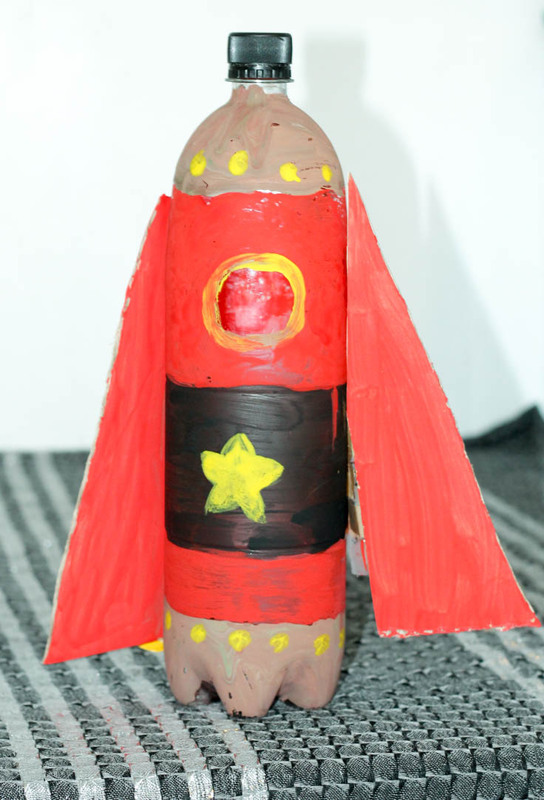 But this soda bottle rocket kids craft was our first one. It’s a really simple and fun soda bottle craft, and once you’re done it’s fun to play with too. These are just the basic supplies we had in our craft cupboard, you don’t need anything fancy at all for this craft! If you have silver and gold star stickers, those would be fun to add to the rocket design too. To get the window effect in the rocket, make sure to leave a circle or two unpainted and the clear plastic makes a great window. 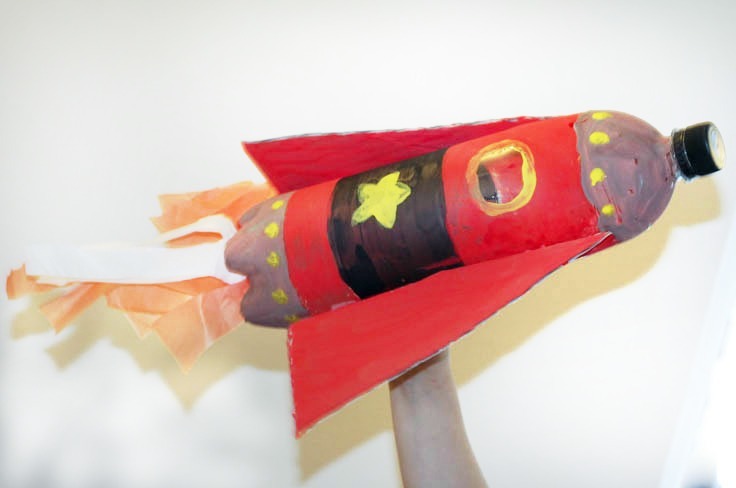 To make the sides of the rocket, we cut two large triangles from left over cardboard (Amazon packaging from our recycling bin) painted and stuck them on to the back of the rocket with duct tape. 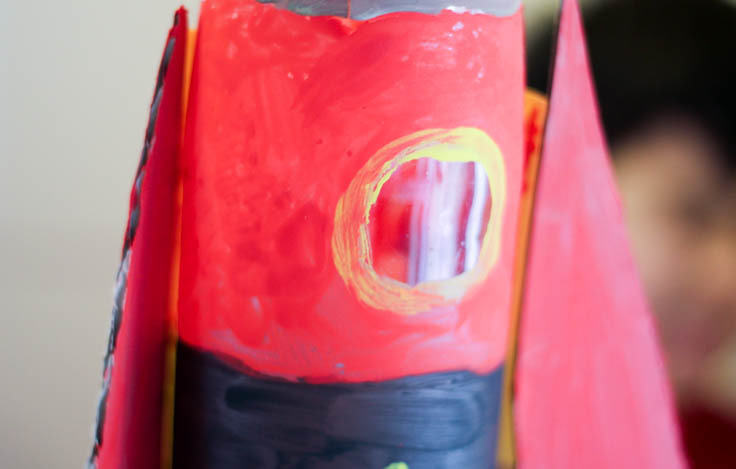 It was almost finished, but missing something vital for the coolest rockets – flames!! 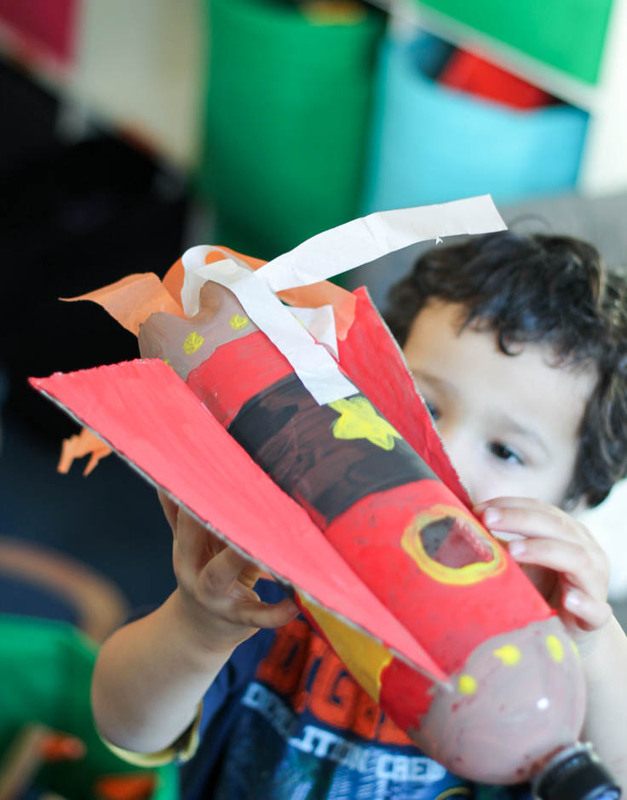 My children would love this – they enjoy making anything out of ‘junk’. This week’s project was a cave made from a cardboard box and kit kat wrappers! So cute! I know my son would love it!!!! This is such a cute craft idea! My husband is an aerospace engineer so yeah, our 2 year old girl will be loving everything outer space. I can’t wait to try this craft with her! This looks easy and so much fun! Thank you for linking up to the Bloggers Brags Pinterest Party. I have pinned your post to the Bloggers Brags Pinterest Board. cool! my son will love that! I hope you can help me. 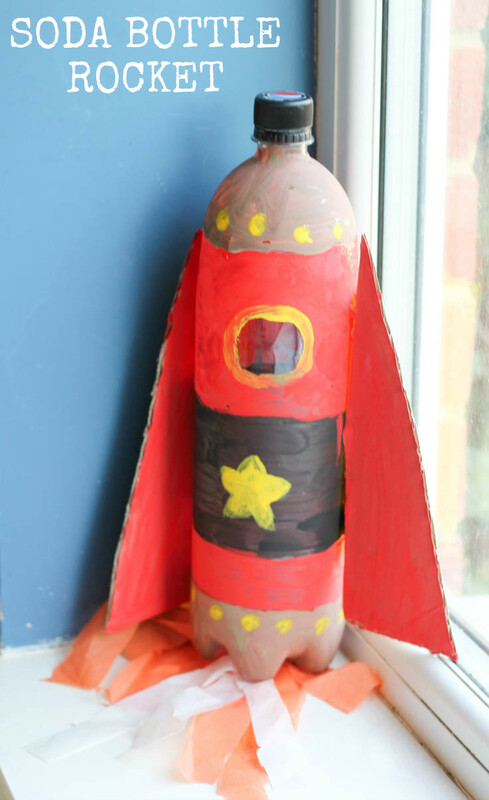 I’m a freelance journalist writing a piece on craft activities for kids for MailOnline and was hoping to include your bottle rocket and a pic. Please let me know if you would kindly give permission and how we should credit it.